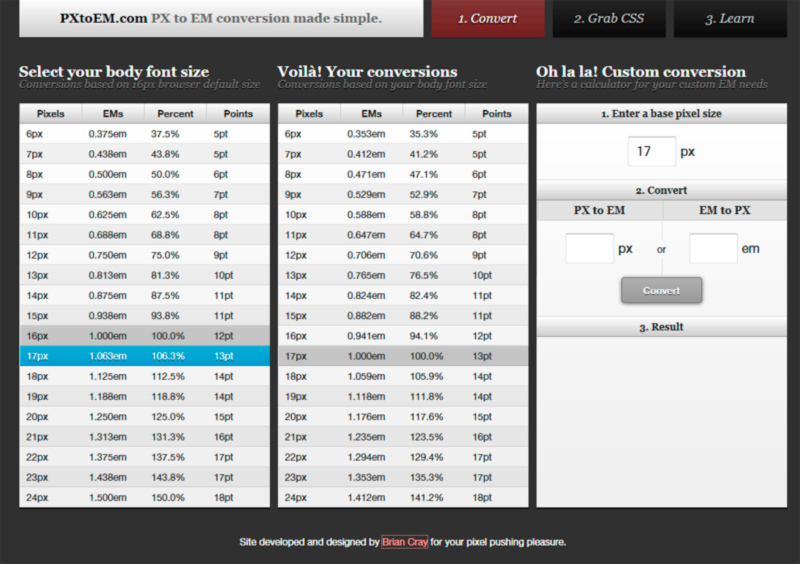 PXtoEM.com is a simple tool can be pretty useful when writting CSS. It allows you to convert Pixels to EMs and viceversa directly on the site.The tool was crafted by front-end engineer Brian Cray. Check out his homepage for some other cool resources.